I can admit I do miss those days. Beat up old trucks on the road were the norm hauling hay for feed, lumber to build a new barn or young calves to add to the livestock herd. No seatbelts were required and we could sit in the back of the truck bed on road trips to town, hair blowing freely, knowing to hang on. We knew our neighbors intimately and were good friends with most, shared home cooked meals together and of course a bottle of 'diego red' as the old timers called it, and where dining out was for special occasions only. We had annual grape stomp parties celebrating harvest, seasons and friendship while our parents consumed a bit of homemade simple rustic table wine bringing smiles of joy, and we walked 2-miles on a dirt road to the school bus stop each day one way because, again - that's the way it was. It's funny how memories work. Once you begin writing about the old times, the flood of memories of a previous life becomes clearer and one melts into another. 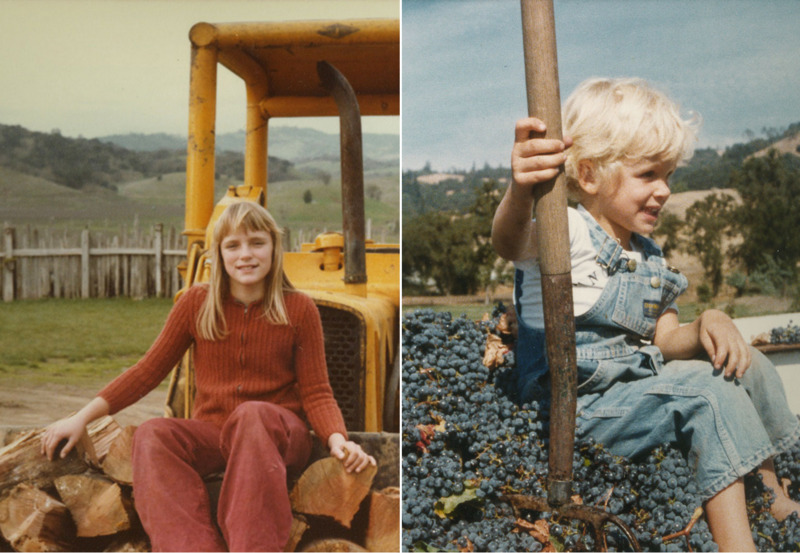 We planted many acres of vineyards with our parents in the early years, not realizing we were planting what would become the wines of our future marriage. One generation ago, most of us had a farmer in their family. And we were one of them and continue to farm today yet in a very different environment. In the 1970s, winegrowing was not easy. There were fewer wineries to sell winegrapes to, and a less sophisticated wholesale distribution system. Times were tough. As children, we never questioned the health or cleanliness of what we ate -- our parents knew not to feed animals chemically grown hay or feed. Of course, logically it was important to have enough space for your animals to roam free with fresh air and green grasses. 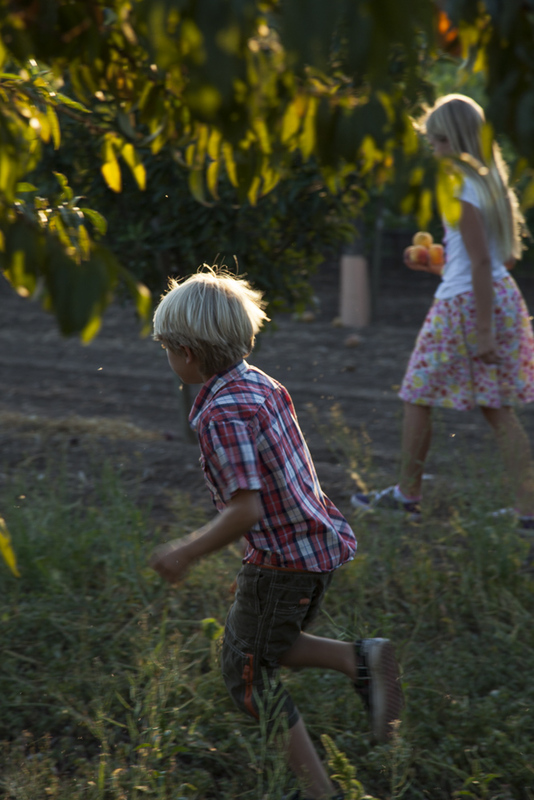 Flavors in all we ate come from purely grown methods. Our childhood was filled with exquisite flavors we savored and enjoyed the ripest, freshest fruits and vegetables with the sweetest, most mouth-watering flavors you could ever image. Indisputedly, fine wines shows this fact distinctly in pure fashion. Such parallels and foundation to our obsession with flavors. To truly understand a farmer is to look at their hands. It's the first thing I saw when I fell in love with my dear husband, Justin. His rugged, large dry dirty hands. I think I bring them up quite often in conversation -- one of those things I find important and attractive in a man. It's what a true farmer has, farmer's hands. I love that. Deeper than that, it shows what a deep, very sincere connection to what the land truly means. Farming is more than a profession, job or career for that matter, its' our way of life. We are the farmers with the hands who grow and harvest our own fruit who also craft and guide our wines with greatest care, forethought and dedication. We don't believe in consultants, trying to be the best scored wine or seeking to be the #1 winery in the US, or most popular -- this is not very interesting to us. We believe in ourselves, our individuality in handcrafting elegant, age-worthy incredibly delicious limited production thought-provoking wines with a reflection of who we are and where we stand. We always say, we're not for everyone and that's a good thing. And back to farming... without feeling it, moving it, touching it... you will never be a real farmer.